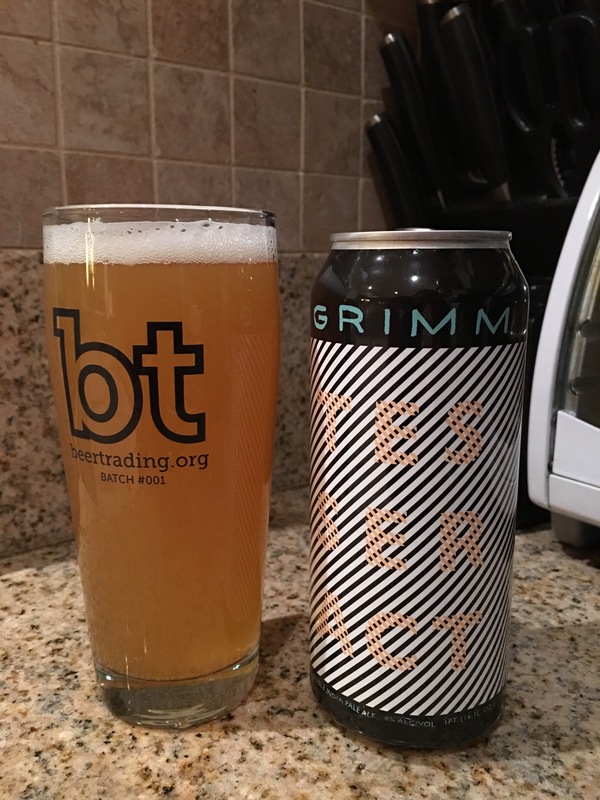 After sampling the chewy gristy “matter in substrate” from Trillium, these awesome Grimm cans seem downright hoplemic by contrast, in a fantastic crushable manner. The tangerine and mandarin oranges make a return and serve like a warm approving hand on the shoulder of the oily conifer and chard underpinnings of the hops themselves. The mouthfeel is lamentably a touch too thin and the tepid middle body from the carb underscores this problem, but the execution can’t drag down what is undeniably a well crafted beer. If anything it reduces complexity in favor of drinkability, which some may prefer in an IPA 4 pack regardless. 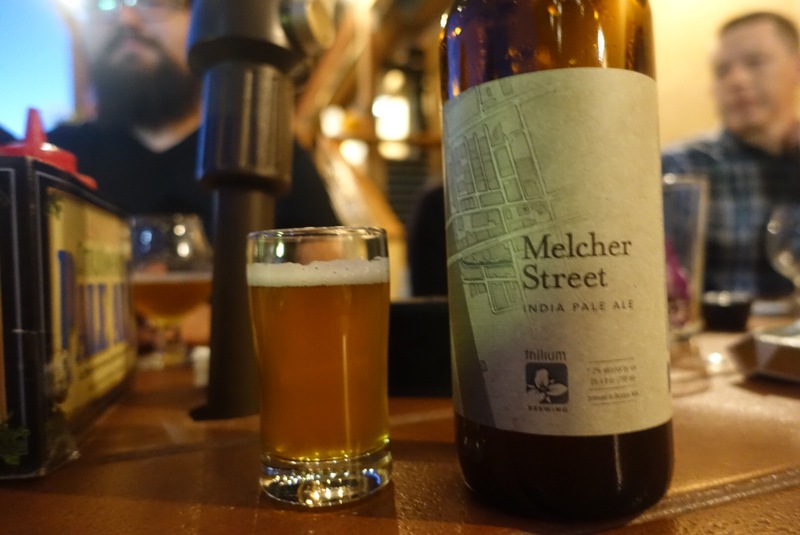 Whereas Trillium seems to be pushing for heft and depth, Tesseract seems to be hitting an easy going elevator conversation with pithy clementine recaps of the weekend. There’s a place for both in my alpha acid soaked heart.